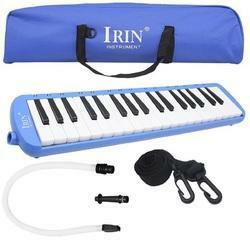 Manufacturer of a wide range of products which include guitar accessories, sustain pedal, irin 32 key melodica with case musical instrument blue, microphone stands, collar microphone 100 % original boya by-m1 and studio microphone. Suitable for all kinds of electrical instruments with keyboards. The alloy pedal is highly tough, rust-proof and anti-corrosion. The non-slip pad on the base is designed for the better acoustic sustaining performance. It can be applied to instruments with external sustain interfaces and English word marks of SUSTAIN/ DAMPING. strong load-bearing capacity, easy to carry collections and so on. 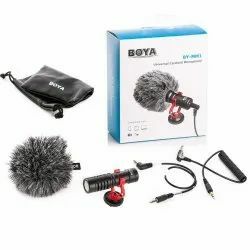 Suitable for today's popular types of capacitive or dynamic microphones. Metal stent arm to straighten a total length of 80 cm, with wheat frame 85cm. Desktop folder with a base fixed to the desktop, around 360 ° rotation, flexible and convenient to install and use. It applies to radio stations, recording studio control room, web chat / lamp and so on. The market can bear any weight of the microphone! They are unified standard connector, suitable for any type of microphone. With Omni pickup pattern, for full 360° coverage, it absolutely gives you the possibility to capture anything in your sight. The integrated 6-meter (20") cable with 3.5mm 4-pole gold plug is just a second thing to be connected to your smartphones and most of your cameras. Super sound for presentations and video audio recorders. 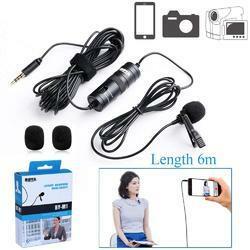 Fits Smartphone, DSLR Camera Camcorder and Recorder. With 2 Cable, TRRS & TRS Cable. Compatible with Smartphones, Canon, Nikon, Olympus, Pentax, Sony DSLR Cameras and Camcorders. Compact and Light Weight. Only 86g/0.19lb, With a Portable Leather Case, you can take it anywhere. 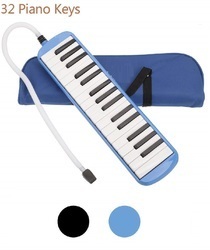 Piano keyboard Portable Small for kids this music instruments Keyboard piano toy is light weight and Perfect for ages 1-8 years old kids to carry it out, Please Note That It Just A Kids Toy!NOT REAL STANDARD PIANO and ONLY ONE RIGHT SPEAKER! The microphone without amplification function, just used for decoration. Plug and Play Children keyboard Piano this piano keyboard is designed for children ,it support battery and DC power supply.once charge this piano,kids could play and sing a song ,NO NEED TO DO ANY SETTING. In addition, kids can improve their intelligence because it can put the music into the game and let them feel the rhythm and the beat during the process of playing. 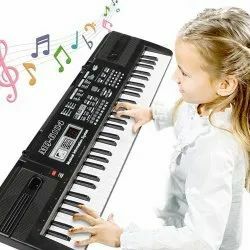 Piano keyboard Portable Small for kidsthis music instruments Keyboard piano toy is light weight and Perfect for ages 1-8 years old kids to carry it out, Please Note That It Just A Kids Toy!NOT REAL STANDARD PIANO and ONLY ONE RIGHT SPEAKER! The microphone without amplification function, just used for decoration. 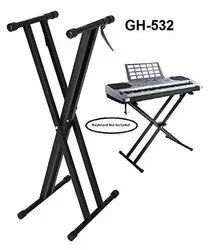 High Quality Adjustable Double X Frame Keyboard Stool Stand Gh-532 Musical Instruments and Accessories Lightweight and Portable This Adjustable Dual Tube X Shape Keyboard Stand Provides a Sufficient Space to Meet Your Need. the Stand Can Hold a Full Size Electronic Keyboard Pianos Providing 7 Different Playing Heights for Your Choice with a Circular Locking Mechanism and Quick Change Knob. What's More Its Lightweight Portable and Folds Will Bring You Much Convenience for Easy Storage and Easy Transportation. Large as It Is the Stand Can Hold One Full Size of Electronic Keyboard Piano.the Stand Can Hold a Full Size Electronic Keyboard Pianos Providing 7 Different Playing Heights for Your Choice with a Circular Locking Mechanism and Quick Change Knob. What's More Its Lightweight Portable and Folds Will Bring You Much Convenience for Easy Storage and Easy Transportation. Large as It Is the Stand Can Hold One Full Size of Electronic Keyboard Piano. PIANO STYLE, EASY LEARNING: 37-key style, it is a sort of wind instrument with built-in keyboard. With the short mouthpiece. You can hold the instrument with one hand, slide your hand under the strap. BEST GIFT, BEAUTIFUL SOUND: It's a best gifts for kids, beginners, harmonica lover. With the long bendy straw mouthpiece you can set the melodica on a table and play it like a small keyboard. EASY to CARRY AND STORAGE: Zipper deluxe carrying bag,Lightweight,easy to carry and storage.Two mouthpieces and extension hose. MOUTHPIECE INCLUDED: With the short mouthpiece, you can hold the instrument with one hand and play songs with the other. ABS MATERIAL: It is made of high quality ABS material, light weight and soft, durable to use.The body is made from ABS non-toxic engineering resin which is healthy and safe. 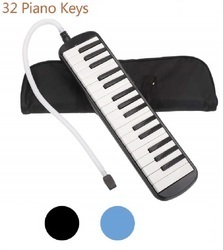 Black body with black and white keys to give you a comfortable feeling, exquisite workmanship and durable. 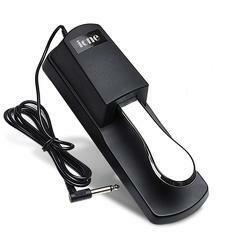 A sustain pedal is an essential accessory for the development of a soulful and expressive piano performance Compatible with all electric keyboards 6.5 feet cable with 1/4 inch phone plug. Chrome plated metal pedal, high strength plastic shell, sturdy and durable Switch-able polarity. Non-slip floor space / Rubberized Stands. 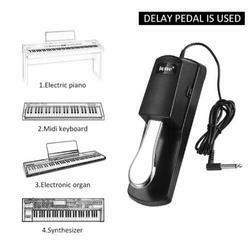 1. universal piano-style keyboard sustain foot switch pedal comes with metal alloy base and plastic coating. 2. Compatible with any electronic keyboard with a 1/4" sustain jack, including Yamaha, Casio, Korg Roland and MORE. 4. Hhigh-quality pedal features a polarity switch making it a compatible with virtually any keyboard. 5. The heavy-duty spring allows for a better control and durability. 1. It may little heavy to press down by younger children. 2. Spring is too tight if people are playing without shoes on, the stiffness of the pedal is on a par with a real piano (the pedals of which you'd play with shoes on), If you only play with bare feet or only with socks on, then you'll find this pedal just as stiff as a real piano pedal. 3. It has standard 1/4" Jack, and it is compatible with the piano which has "SUSTAIN" output. dosn't work without the "SUSTAIN"output. 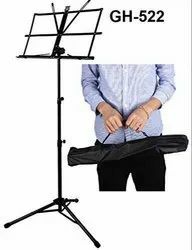 Portable Music Stand Adjustable Folding Music Book Stand GH-522 Orchestral Stand Little Music Stand the Music Book Stand Notation Stand Is Made Up of High Quality Material and Is Sturdy Enough to Last Long. This Notation Stand Will Help You to Keep Your Lyrics in a Proper Manner So That You Can Read It Without Having to Hold on to the Sheets. It Is Really Important for People Who Are Professionally into the Line of Music. 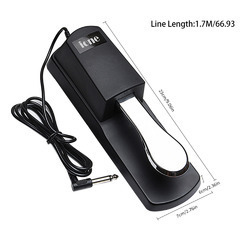 This Notion Stand Comes in Elegant Black Colour. It Is Light in Weight and Can Be Carried Around with Ease. the Music Book Stand Notation Stand Can Be Easily Adjusted According to Your Height. It Is Ergonomically Designed and Is Easy to Use and Carry. This Notion Stand Is Also Durable and Long Lasting. Will Help You in Reading Lyrics with Ease and Enhance Your Performance. FLEXIBILITY & PORTABILITY: The desktop tripod microphone stand features a 180-degree rotating neck that can be adjusted to a suitable angle, orientation or position to meet your needs for various applications. 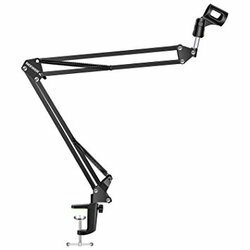 The microphone stand features a 3-legged base that retracts and folds up easily for convenient storage and portability. EASY TO SETUP: No driver required. The microphone is easy to set up by plugging the USB cable into your computer’s USB port directly and the rest of the operation will be done automatically by your operating system. VERSATILITY: The microphone is perfect for voiceovers, podcasts, recording, gaming, Skype, group chats, singing, streaming, YouTube, Twitch and video conference. 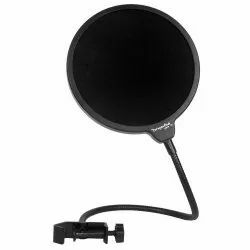 POP FILTER: Tabletop microphone mount comes with professional dual-layer acoustic filter to prevent from popping and improve vocal recording quality; adjustable distance between the microphone and the filter. 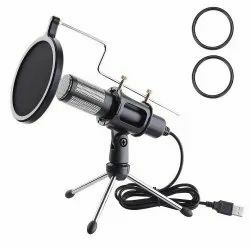 COST EFFECTIVE: The microphone set includes AK-8 USB microphone with USB power cable, desktop tripod microphone stand, microphone shock mount with anti vibration technology, dual layered pop filter, pop filter foam, and pop filter stick holder. Condenser USB Microphone & Tripod Stand Kit is perfect for video conference, live streaming, broadcasting, podcasting, interviews, voice recording, online chatting, etc. It comes with dual-layer design anti-spray cover can prevent air spraying and protect the microphone, so you can clearly and effectively enter and transmit the sound And foldable tripod stand, you can fix the microphone on the desk for your convenient. Noise cancellation and isolates the main sound source. 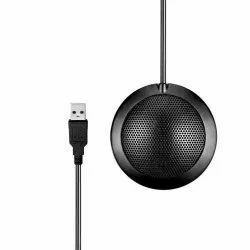 Good for home studio, Video Chatting, Chatting, Skype, MSN, Yahoo Recording, YouTube Recording, Google Voice Search, Stream, Etc. 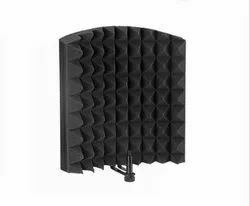 ELIMINATE INTERFERENCE: The inner side of the microphone isolation shield is made of absorbing cotton insulation that can reduce sound reflection when recording. FLEXIBILITY & CONVENIENCE: The folding panel design features enables angle adjustments, giving you optimal insolation. Compact design, lightweight construction as well as fold-ability allows you to carry it easily and take along wherever you go. DURABILITY: Constructed out of premium steel with high-quality screws to ensure sturdiness, and long lasting performance. Plug and play¿¿¿Easy to carry, just plug it into any available USB port and use it as an input option in your software setup, you can create your own audio. Windows and Mac compatible, no need to install the software.No driver needed to plug and play. ¿¿¿Real-time Monitor¿¿¿With the integrated sound card,sampling rate 44.1kHZ and bit rate 16bit,you can experience the real real-time monitoring and no sound delay.Monitoring your voice when recording. ¿¿¿Professional Recording Effect¿¿¿With the advanced DSP tech,the PC microphone can effectively reduce noise and distortion which can provide you the more professional recording experience;100% restores your voice,let you enjoy original voice and the superior sound. ¿¿¿270°Adjustable Holder¿¿¿Flexible rotation tripod stand and ultra-compact design,you can fix the microphone to the desktop with a mini flexible head that can be rotated 270°.And the condenser microphone can be folded,so it is easy and convenient to carry to everywhere. 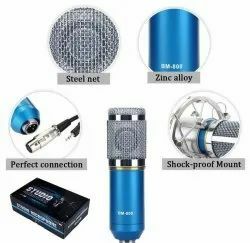 ¿¿¿Wide Compatibility¿¿¿High quality microphone,ideal for Recording,Online Chatting,Podcast,Singing and so on.And also suitable for PC, Laptop, Mobile, Ipad, MAC,PS4 and others. Universal compatibility – ¿¿¿Be available for all Electronic Keyboards, Synthesizers, Pianos, Drum Machines and Tone Modules. ¿¿¿Well made and weighty¿¿¿- Does not slide around as much as some other pedals due to non-slip rubber base. The pedal has a plastic cover for protection and nice feel underfoot with enough resistance but not overly stiff. ¿¿¿Sturdy and solid¿¿¿-Improve the sound of keyboard playing, try to give you realistic feeling sustain for an electric piano. ¿¿¿High Quality¿¿¿-Chrome plated metal pedal, high strength plastic board, qualified and durable. Looking for musical instrument accessories ?